These fabulous train birthday invitations are available as a pack size of 15 invitations or else select the “1 invitation” option and add exactly what you need to your cart. Invitations come with the cutest coordinating envelopes. Invitations ~ Steam Train are a great option for a little guy who loves trains. 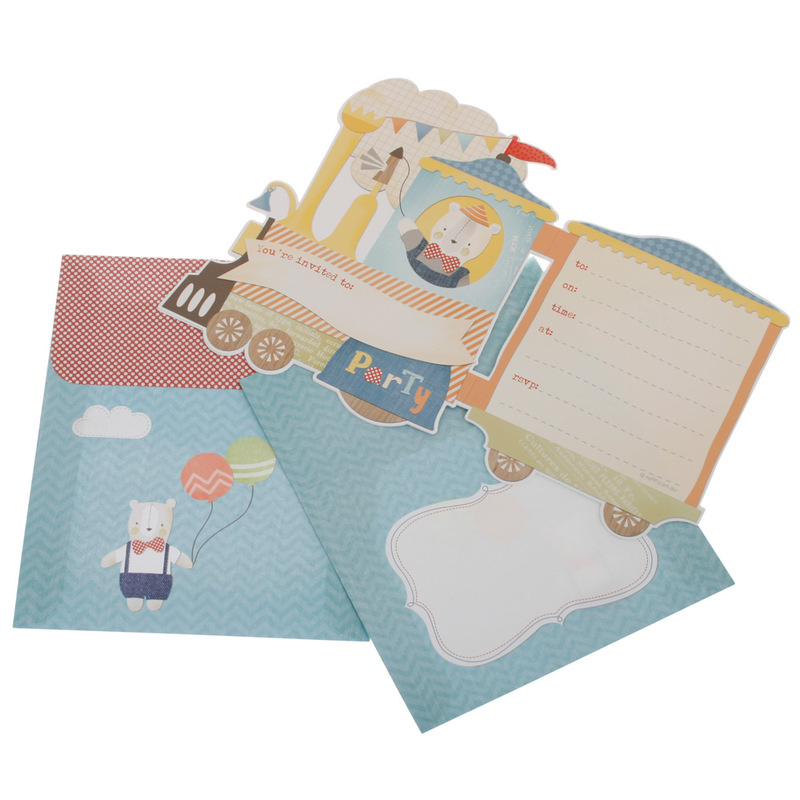 They are made from thick card and come complete with a very cute coordinating envelope and a self-adhesive magnetic strip for attaching to the back of the invitation. Pack size: Available in a convenient pack size of 15 invitations or else purchase them singly so you can get exactly what you need.